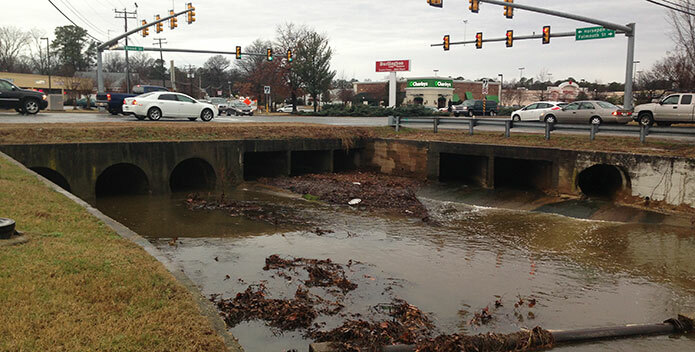 Urban and suburban runoff is the only major source of pollution that is growing in the Chesapeake Bay and its rivers and streams. "We are stronger together than alone." It's an idea that can benefit many people and situations – even those who serve us in government. In today's political climate, it's hard to imagine government officials standing together in unity on much of anything. Yet just this week representatives of six local jurisdictions on Maryland's Eastern Shore signed off on a proposal to work collaboratively to control polluted runoff – one of the few sources of Bay pollution that's increasing. 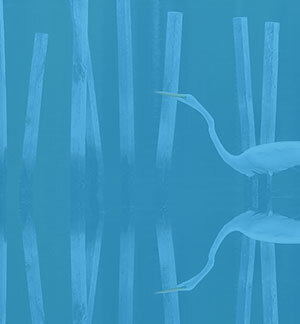 The collaborative comes out of the Healthy Waters Round Table – a network of county and town officials on the Shore that the Chesapeake Bay Foundation (CBF) and partners helped launch in 2015. The network helps participating communities share resources to keep pollution out of local rivers and streams. County and town collaboration is a win-win idea. Under the Clean Water Blueprint, Maryland's local governments are partners in the multi-state commitment to get projects in place by 2025 that will collectively meet water quality standards for the Bay. The problem is that most rural communities like those on the Shore have limited resources at their disposal to contribute to the effort. Leaders of some jurisdictions are charging new fees to help fund pollution control. Salisbury, for example, assesses homeowners about $20 per year to pay for street sweeping, new plants and trees, and other practices that filter and treat runoff near its source. The time and effort it takes to bring a municipal or county pollution control project from conception to completion is not insignificant. Scoping out projects, ushering them through design and approval, and managing construction, can sometimes slow projects almost to a halt. With CBF's help, county and town partners agreed to work collectively to try to get through this bottleneck. For instance, localities this week partnered on a grant application to the National Fish and Wildlife Foundation to bring in new technical support staff and funding that can speed up project delivery. If the proposal is approved, a "Regional Service Provider" will be hired who helps locals plan, prioritize and invest grant dollars in high-value projects. The process also will ensure that pollution reduction efforts get results, and that local governments get credit. The Hogan Administration likes the idea. State agencies under the Governor's purview have pledged resources of their own that together with cash contributions from participating local governments will provide some significant horsepower to get work done. If awarded, the three-year initiative would begin as soon as this August. On the Shore, limited resources are a major impediment to county and town progress on controlling polluted runoff. The new collaborative may be just what's needed here to get communities what they need to help them do their share to finish the job of restoring the Bay to health.